It is never too early to start planning your next adventure. Costa Rica seems to be all the rage these days, and for plenty of good reasons. While there are several well-known and highly visited destinations in Costa Rica, such as La Fortuna, Monteverde, Manuel Antonio, Playa Tamarindo, Santa Teresa, and Jaco, there are plenty of less-visited spots that you should definitely add to your list for a truly off-the-beaten-path and away-from-the-crowds trip to Costa Rica in 2018. Playa Zancudo is located just 12 miles (20 kilometers) south of Golfito, but it feels like a world away from everything and everyone. This long stretch of idyllic black sand lined with coconut trees is ideal for swimming, body surfing, fishing, and just basking in the sun on what will feel like your own private slice of paradise. Some claim that Playa Zancudo is the best swimming beach in all of Costa Rica, and the tranquil crystal clear waters are quite inviting. There are multiple budget-friendly accommodations and great restaurants and bars nearby. 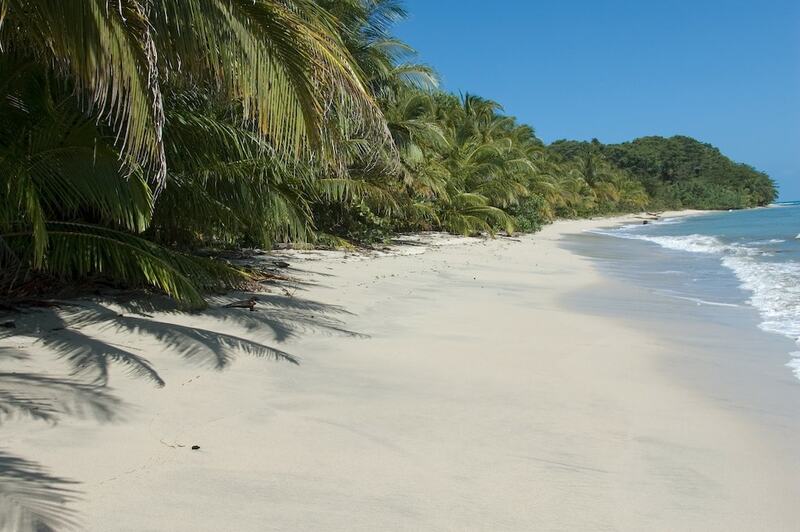 Playa Zancudo is also conveniently located close to famous attractions such as the Corcovado National Park and La Casa Orquideas Botanical Gardens. Dominical is a charming and laid-back boho-surfer town on the Central Pacific coast just 27 miles (44 kilometers) south of Quepos. Novice and experienced surfers alike will enjoy the consistent and fun beach break waves here. Non-surfers will enjoy the expansive beach, beachfront bars and restaurants, daily artisan market, birdwatching, horseback riding, and the nearby rainforest and waterfalls. There is plenty to do around Dominical as far as nature and adventure tours go, as well as it being a place that inspires total relaxation. Surprisingly, Dominical has a pretty happening nightlife, too. The Santa Rosa National Park is located in Northern Guanacaste. Surprisingly, it is a park that is often overlooked in favor of other parks such as the Arenal National Park and Manuel Antonio National Park. However, overlooking it would be a mistake. What makes this park remarkable is there are 10 different habitats within it, including oak forest, deciduous forest, evergreen forest, littoral woodlands, mangrove swampland, marshland, and savannah. There are 115 species of mammals, 250 species of birds, 10,000 species of insects, 100 species of reptiles and amphibians, and multiple waterfalls and beaches. It is one of the most marvelous places to visit in Costa Rica. El Castillo is around 45 minutes from the very popular destination of La Fortuna. The less-than-perfect road has kept the crowds away from El Castillo, but the bumpy ride is totally worth it. El Castillo is a ravishing little rainforest town right on Lake Arenal, and the views of the Arenal Volcano are better than you would get in many spots in La Fortuna. El Castillo is an ideal location to embark upon horseback riding, waterfall hiking, kayaking, canopy zip lining, and volcano trekking tours, typically at a fraction of the prices you would pay if you were staying in La Fortuna. Take advantage of this secret alternative! San Gerado de Dota is nestled up against the Talamanca Mountains. This breathtakingly beautiful town is a birdwatching hotspot, as well as a nature and adventure lover’s utopia. The quaint town is perfectly placed near the famous Los Quetzales National Park, Savegre River, Naranjo waterfalls, rolling hills, fruit plantations, and misty forests. The hiking, birdwatching, white-water rafting, and fishing in this stunning part of Costa Rica are world class, and San Gerado de Dota is a dreamy destination for those looking to become fully immersed in nature. Pacuare is located on the Caribbean coast and is a famous sea turtle nesting beach and an important research site for scientists who are studying green sea turtles, leatherbacks, and hawksbill turtles. Turtle nesting season is between May and October. Pacuare is a perfect destination for those looking to experience the remote rainforest. It is also relatively close to the Tortuguero National Park and is only a short way from the famous white-water rafting river Rio Pacuare. This is a wild and remote destination that is bursting with wildlife, ancient plant life, and endless opportunities for adventure. Cahuita is a happening little town on the Caribbean coast just 27 miles (43 kilometers) south of Puerto Viejo de Talamanca. The majority of the permanent residents are of Jamaican descent and the Creole–African culture is alive and vibrant here. Visiting Cahuita is a chance to experience a totally different culture from the rest of Costa Rica, and the laid-back and free-spirited vibe of this Caribbean town is contagious. The Cahuita National Park, Playa Negra, and Playa Blanca are all nearby. The Hitoy-Cerere Biological Reserve is nearby, too, and was named a World Heritage Site in 1993; this is a relatively unknown treasure and a must-visit destination while in this part of Costa Rica.